At nearly $1 Billion, the Gerald Desmond Bridge Replacement will ensure the safety of commuters and truck drivers and protect Southern California’s important role as a major trading hub. 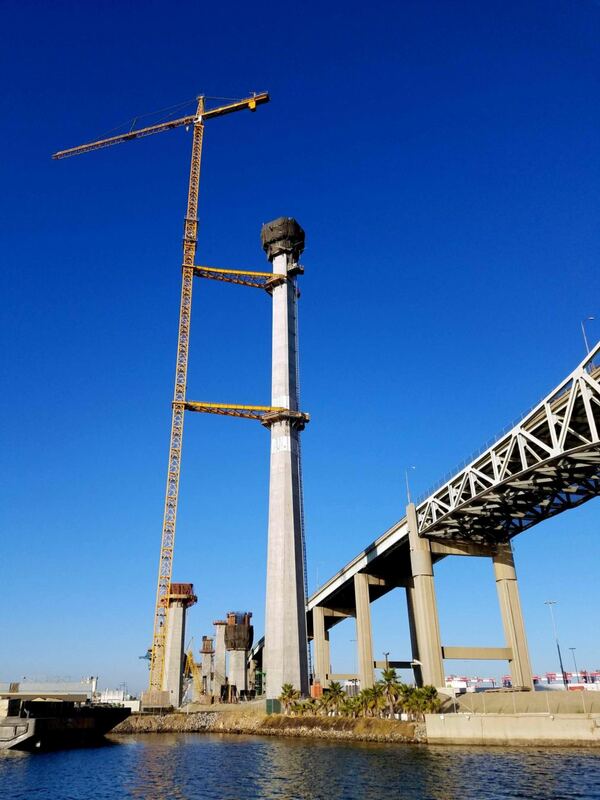 The replacement bridge has a total length of more than 1.6 miles, including a 1,000-foot main span crossing the deep-water navigable channel, connecting the Port’s middle and inner harbors, and vertical clearance of up to 200 feet. Group Delta has worked on the design and construction phase of this project. Group Delta is the geotechnical engineer responsible for performance of the geotechnical investigation and was responsible for the design engineering of the foundations. Our engineers reviewed all foundation reports before their submission to Caltrans and the Port of Long Beach. In addition, we also performed independent checks of calculations and attended meetings to give recommendations for the design and construction of the bridge. Group Delta is also providing environmental consulting, construction materials testing and inspection services for this project. As the Environmental Compliance Manager for the design-builder, Group Delta oversaw all environmental activities associated with the project. Duties included performance and/or oversight of the following activities: preparation of permit applications, work plans, and reports related to environmental activities; third-party review of existing environmental documents including, but not limited to, permits, groundwater and/or soil treatment design plans, technical specifications and change orders; Mitigation Measures implementation; baseline and quarterly groundwater monitoring; contaminated/hazardous soil management including preparation of Remedial Action Plan for on-site biological and thermal treatment of contaminated soil; sampling and analyses for soil treatment and/or handling and disposal purposes; and implementation and inspection of stormwater best management practices (BMPs).